Citat:An Air Force spokesperson at Nellis Air Force Base has now confirmed that this flurry of aerial activity was indeed related to Neptune Falcon, as well as another exercise called Neptune Hawk, both of which began on April 16 and are set to wrap up on May 5, 2018. 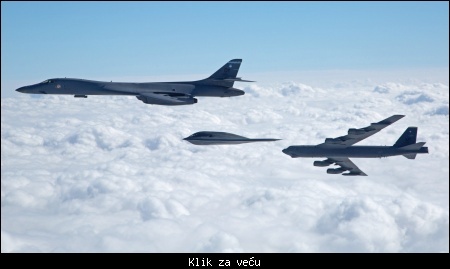 These exercises, which included personnel from across the U.S. military, "are joint air interoperability exercises designed to maintain readiness and evaluate employment capabilities in a realistic training environment," they added. 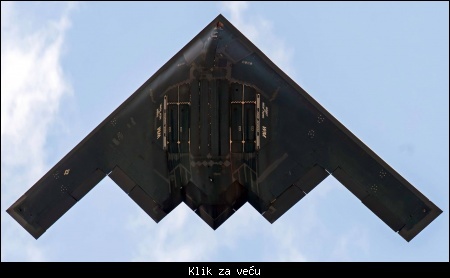 Citat:We talked before about how the B-2 takes on drastically different perceived form and scale based on your angle of view, especially compared to its bomber stablemates, even looking like a flying saucer from the side. This pic is the best example of this. Тешко да се то десило (да не кажем немогуће) док су у браку, можда једино пре него што су се венчали. По том питању правила су им веома стриктна, експлицитно је забрањено да буду заједно у посади. zabranjeno u slucaju da avion nema autopilota, ukoliko ima mogu gore svasta da rade , a ko bi odoleo. lord sir giga ::zabranjeno u slucaju da avion nema autopilota, ukoliko ima mogu gore svasta da rade , a ko bi odoleo.